Les petits chefs – Week 3 | eat. live. travel. write. 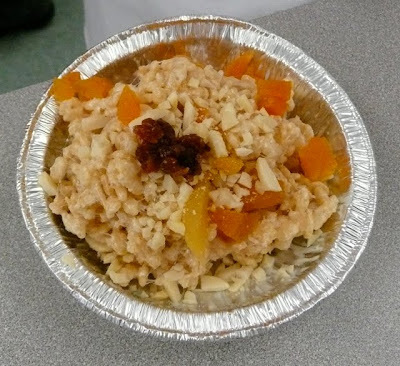 This is the third in a series chronicling my adventures in the kitchen with my cooking club at school – Les Petits Chefs – using recipes from the book C is for cooking, which I received for review. 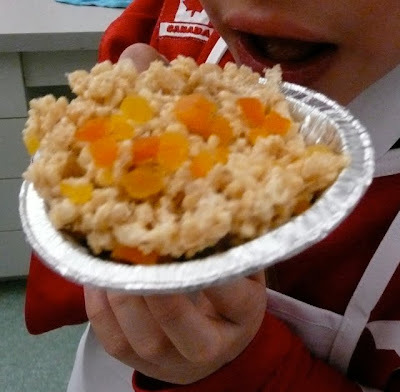 This week, we made Rice Crispy Bars, inspired by Alton Brown’s recipe in the book. 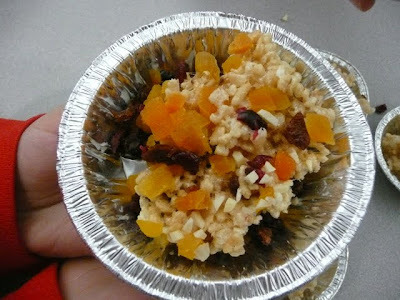 We modified it a little – adding more dried fruit. 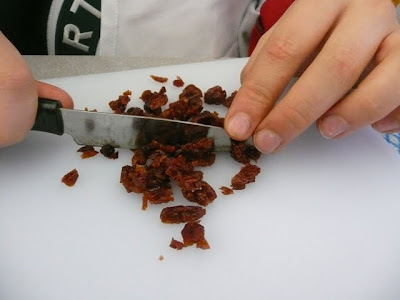 The children’s version only called for dried cherried whilst the original version which you can find here called for three different kinds. Lightly coat the inside of a 13 by 9 by 2-inch metal pan with oil (we used butter) and set aside. 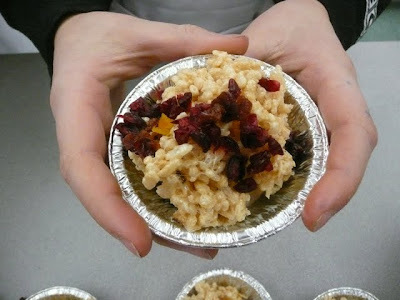 (We used mini tart pans). 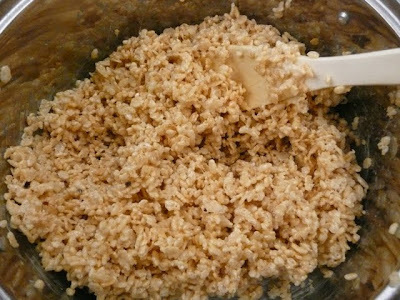 Toast the rice crispies in a frying pan over medium heat until they just start to turn golden. 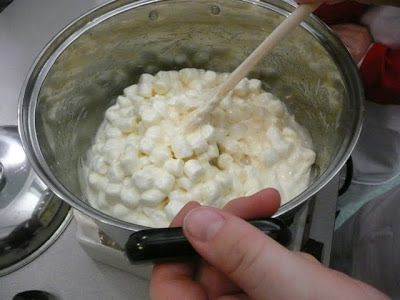 Place the butter, honey, and marshmallows in a large saucepan on low-medium heat. Stir until the marshmallows are melted, approximately 4 to 5 minutes. (the book called for a double boiler which we deemed a little labour intensive and since we didn’t have the proper bowls, we just melted straight in the saucepan. It worked just as well). 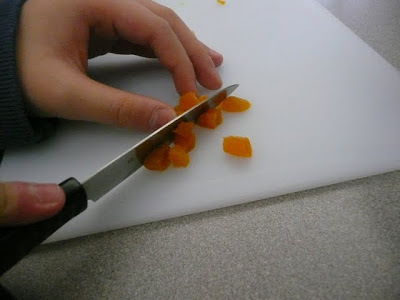 Meanwhile, the rest of the boys had a fine old time chopping. 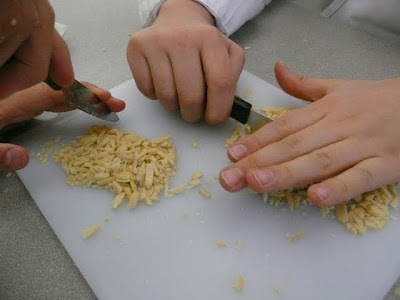 I tell you – if you want to keep 10 little boys occupied for 30 minutes, give then the task of chopping dried fruits and nuts uniformly – worked like a charm! And no-one cut themselves! The boys’ technique is quite admirable! 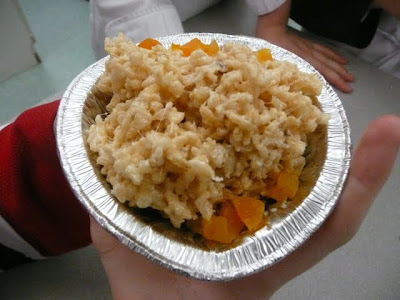 Once the marshmallows are melted, quickly add the toasted rice. 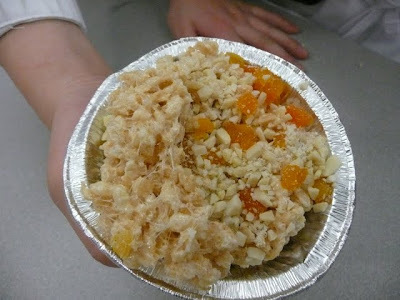 Once the mixture has cooled completely, cut into squares and store in an airtight container for 1 to 2 days. Eat and enjoy straight away! Now that is something even I want to make every morning for breakfast. I want to join this class. I actually want that for breakfast too. this seems like so much fun! it looks like you are having a blast with them! This is such a great project! 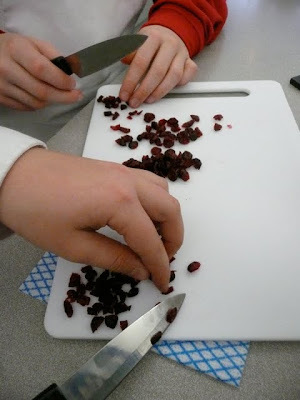 Teaching kids to use the kitchen is wonderful. Very cute! 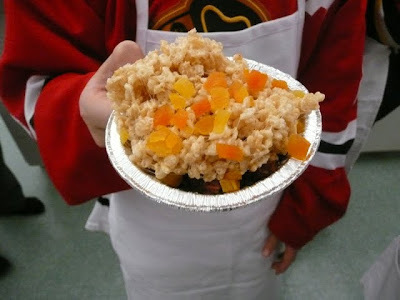 Those look good, and it’s so great that you’re teaching kids to be comfortable in the kitchen! It’s one of my favourite parts of the week, for sure! what a great experience for the kids! 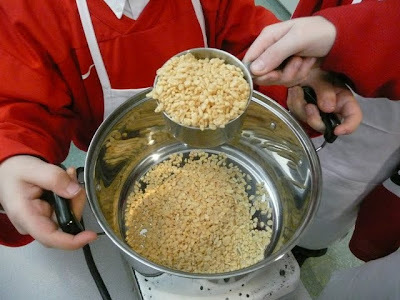 it’s terrific for them to be able to spend some time in the kitchen at such a young age – and i’ll bet it’s lots of fun. 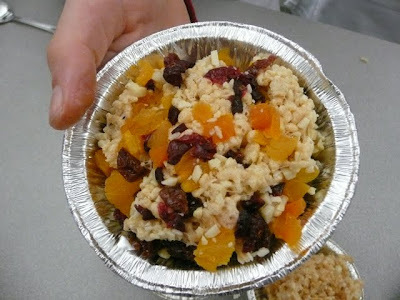 🙂 we make krispie treats every so often, and i’m going to add dried fruit next time – i’d have never thought of that!